Thanks to coiste na dtuismitheoirí for a wonderful afternoon of fun and food last Sunday. It was enjoyed by all. Maith sibh. Bhí an sport agus spraoi, caint agus comhrá ag gach aon duine. Soccer League Semifinal Wins for Senior Boys and Girls – Go n-éirí leo sna cluichí ceannais! 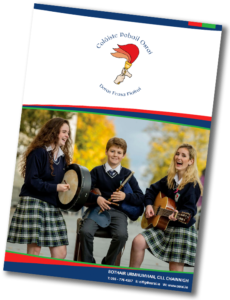 Christmas Fair 17th December in Coláiste Pobail Osraí – Ideas needed!! Team Hope Christmas Shoebox Appeal – Feachtas bosca bróg. DÚNTA ARÍS AMARACH – CLOSED AGAIN TUESDAY 17th Oct – DES De dheascadh Stádas aimsire dearg ní bheidh an scoil oscailte amárach (Luan 16/10/17) Due to Red alert status Coláiste Pobail Osraí­ will not open tomorrow Monday 16th October. Please be safe and follow the official guidance.